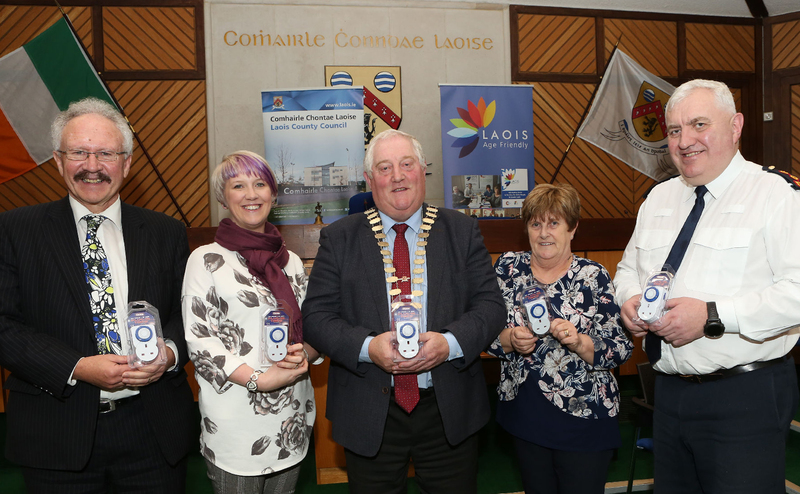 Laois Age Friendly Programme and An Garda Síochána have teamed up to help prevent burglaries with timer plugs for home safety. As a crime prevention measure, the 55 timer plugs will be distributed through the Laois Age Friendly programme. It is widely accepted that appropriate lighting can help to reduce crime and act as an effective deterrent to burglars. Appropriate lighting can help to make a home more visible to neighbours and passers-by; thereby increasing the likelihood of discovering unwanted intruders and trespassers. Sergeant Graham Kavanagh is the Crime Prevention Officer for Laois and Offaly. “When going out, homeowners should endeavour to make sure their home looks occupied - to Lock Up and Light Up. “Use timer plugs to turn on lights, lock all doors and windows, store keys away from windows and letterboxes, and use your alarm. “Taking these simple steps will help to lessen a home’s vulnerability, deter burglars and protect homes. “It is also a good idea to turn on a radio using a timer plug, in one or two rooms (back and front). It may be better for the selected station to be more of a ‘talk’ station than a ‘music’ station,” he said. Sgt Kavanagh also emphasised the importance of varying the use of timer switches and change the times on your timer switch so that it is not always coming on at the same time. The Laois Age Friendly Programme works to ensure respect for older people, their decisions and lifestyle choices and responds to their related needs and preferences. Laois County Council takes a leadership role in the development of the programme in the County. Judy Barrett is the Chair of the Older Peoples Executive Forum in Laois. “This is one of a number of initiatives which the Age Friendly Programme promote to make life better for older people in the county. On behalf of the Older Peoples Forum, I am delighted to collaborate with An Garda Siochana and Laois County Council on a very worthwhile project,” she said.